These are used following orthodontic treatment to hold the teeth in place in their new position.This allows time for the surrounding bone and gums to adjust. 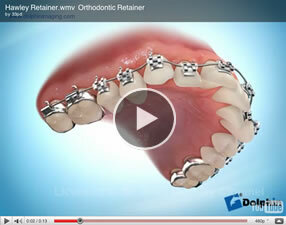 There are two different types of retainers, removable and fixed . 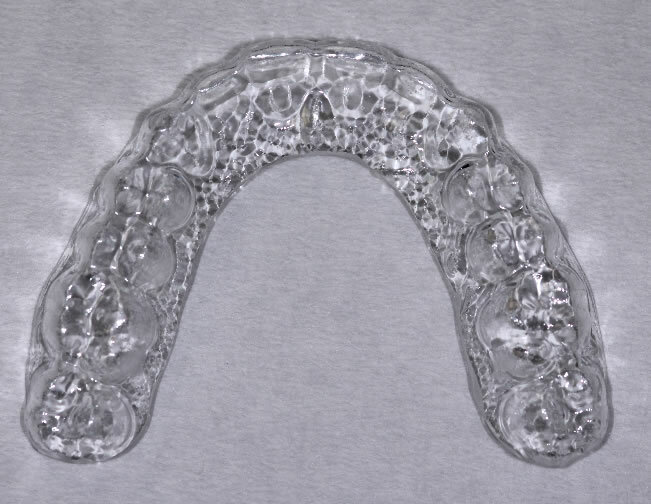 Removable retainers are either clear acrylic trays or less commonly Hawley type retainers that are made of acrylic and have wires attached. 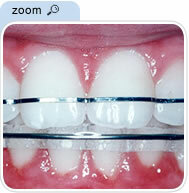 Fixed retainers are also known as bonded retainers . 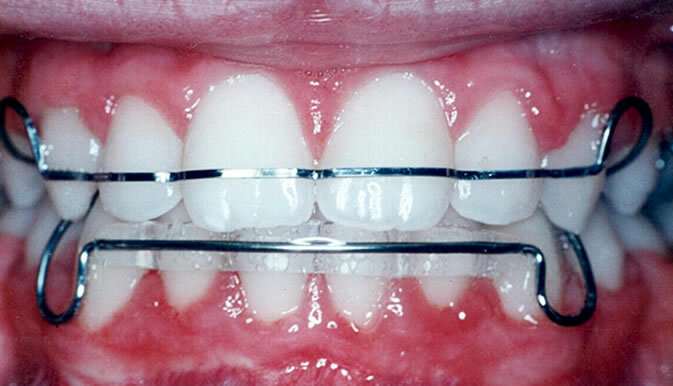 These are very thin wires which are attached to the back of the teeth and are completely invisible. 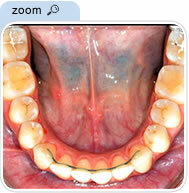 Generally patients wear the removable retainer every night for a year. Then it is reduced to a few nights a week , and finally to one night only a week indefinitely. Ones teeth are never set in concrete . Even for people who never received orthodontic treatment, as they go through life their teeth will generally tend to move to some extent. For this reason lifetime wear of retainers on a part time basis one or two nights a week is recommended if you want to keep your teeth as straight as possible. 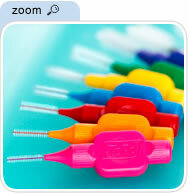 The removable retainers should be brushed with a toothbrush with toothpaste when they are removed . 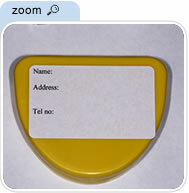 They should always be stored in the protective case which is provided with them. 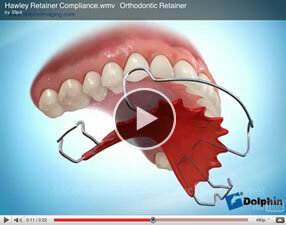 Removable retainers are delicate, and will break easily if they are abused. They should never be put under hot water or they will shrink. It is important to keep them away from dogs and younger children who may damage them. Retainers are subject to normal wear and tear much like the tyres on a car and may need to be replaced especially if you are going to wear them long term . There is a charge of €90 for a replacement retainer . 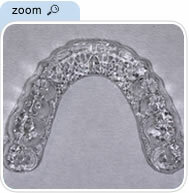 The bonded retainer cannot be removed for cleaning . 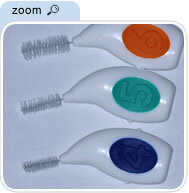 It is therefore critically important that extra care is taken to keep it clean . 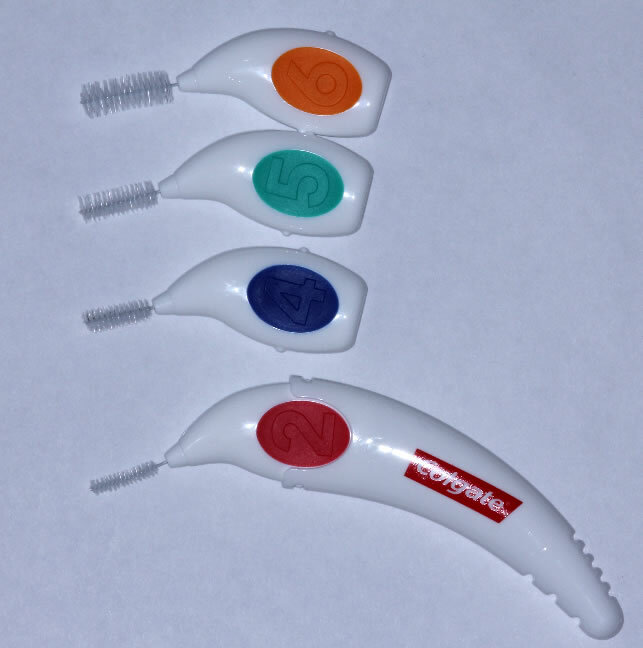 An electric tooth brush is useful for cleaning the back of the teeth , some people find mini brushes like Te- Pe mini brushes to be helpful for cleaning the bonded retainer. 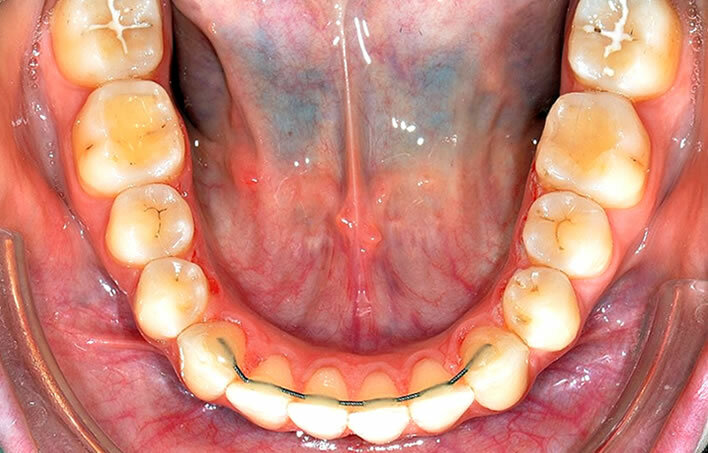 Some people have a great tendency to build up calculus deposits on the inside of their lower front teeth and these people will need a professional cleaning with their dentist at least every 6 months whether they have a bonded retainer or not. If you are not managing to keep the bonded retainer clean your dentist may recommend a scaling and polishing more frequently . 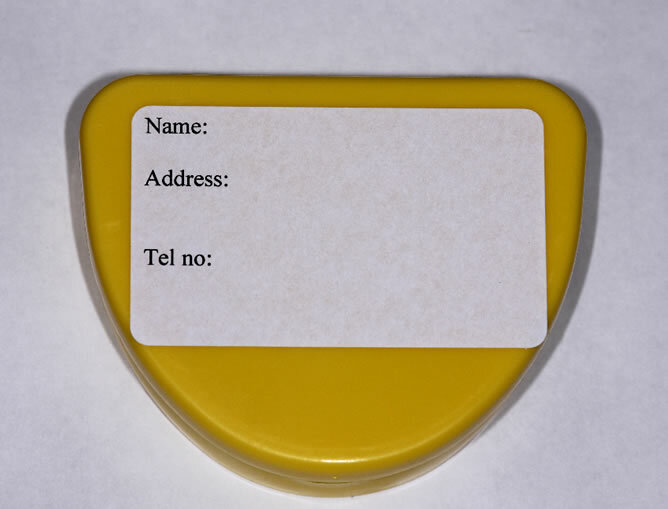 If you do not attend your general dental practitioner regularly for check ups and a scaling and polishing or if you simply cannot manage to keep the bonded retainer clean then it should be removed and a removable retainer could possibly be fitted instead. Please view these video links. It would be our normal practise to use a clear essix retainer rather than a Hawley retainer when we are not using a bonded retainer.